At Koley Jessen, we are big believers in supporting our community beyond providing legal services. Our philosophy of philanthropy is simple. 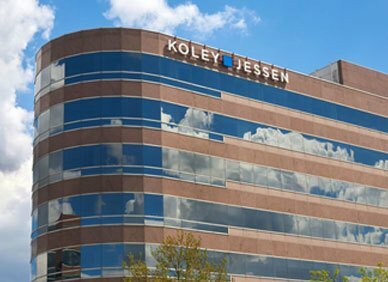 The employees of Koley Jessen are united in the belief that at both the individual and organizational levels, we are fortunate. We have received so much from our community that it is not only our obligation, but our privilege, to give back. Our employees contribute to our community in which we practice by means of volunteering and serving on boards of directors. Employees are encouraged to find their passion and give their time and talent to organizations whose missions speak to them. We are also proud to represent a number of nonprofit organizations. We view ourselves not only as advisors to these organizations, but community partners. We provide volunteers, resources, and/or financial contributions to support the initiatives of our nonprofit clients whenever possible. Several times a year, the office comes together to support certain organizations and efforts where the firm has ties. Year after year, we have consistently exceeded our goals, whether volunteer hours or funds raised.